All I wanted for Christmas was a tax break. Guess what I got? With the passage of the tax reform bill, most (but certainly not all) Americans will be paying a lower percentage of their income in taxes for at least the next eight years. I don’t plan to discuss the societal pros, cons, or politics, but I would like to address the immediate ramifications as it applies to many high-income professionals like you and me. How Might You Be Affected by Tax Reform? The new 24% bracket extends all the way to $315,000 for married filing jointly (MFJ). Many physicians and other entrepreneurs and professionals will have taxable income in this range. Under the old brackets, the 33% bracket started at $233,000 and the 28% bracket at $153,000. That’s a huge difference. The child tax credit now applies! It used to phase out from a MAGI of $110,000 to $130,000 for MFJ filers. I’ve never seen a child tax credit for my 7 and 9 year old boys. Now, the phaseout starts at $400,000 and the credit is $2,000 per child. That’s worth $4,000 a year in this house. The Pease limitation is gone! The repeal lowers the marginal tax rate for many households by about 1%. In effect, the Pease limitation was a surtax disguised as a limitation on itemized deductions. I was subject to this in the past; now it’s gone. The AMT will affect far fewer people. I believe I’ve paid the AMT every year that I’ve been a full-time anesthesiologist. The ACA individual mandate for health insurance is repealed in 2019. One can choose a plan that wouldn’t have qualified, such as many “catastrophic coverage” plans without being subject to a penalty. This could be significant for aspiring early retirees feeling priced out of the exchanges. The estate tax exemption is doubled to over $22 Million for couples. State and Local Tax (SALT) deduction limited to $10,000. This will affect many negatively, but I was used to paying the AMT and getting no deduction for SALT. Unless you plan to itemize with an additional $14,000 or more in deductions, you won’t benefit from the potential deduction, anyway. There’s a lot more in the legislation that may or may not apply to you, and I would encourage you to read Michael Kitces’ breakdown at Nerd’s Eye View (love that blog and blog title) for additional insight. To get a rough estimate of the changes you can expect to your taxes under the new plan, plug some numbers into this Tax Reform Calculator from CalcXML. I can expect to save about $8,000 a year, with half of that coming in the form of new-to-me child tax credits. There’s one more piece of this puzzle that could greatly benefit those with businesses in which they are self-employed, including those of us in “service businesses” like physicians. This aspect hasn’t been well described in the media, but a savvy physician really dug into this “pass-thru deduction” and graciously granted me the remainder of this article. This started as a forum thread on the White Coat Investor forum, and has been further developed at my request. Thank you, Dr. Elseroad! Disclaimer: Do your own homework. That’s what I did. Read the actual tax bill Part 2 on pages 23-49. Like the physicians in the WCI network, I am not a financial professional. I am only an EM doc, so I did this research for my family. All numbers are for married individuals which are most often halved for singles. Any limits provided are for 2018 tax year and not for the taxes due April 17, 2018. K = thousand to avoid trailing zero confusion. If you don’t trust my interpretation of the legalese, read Michael Kitces’, the financial advisor to the financial advisors. Independent contractors and business owners with personal gross income less than a half million will likely receive this new tax deduction next year without changing anything, saving up to $15,120! Didn’t they exclude all doctors? No, there is a limitation but not an exclusion if you are part of a high-income family and own a business in the service industry. If you are an independent contractor (paid 1099), in the eyes of the IRS you own a business. Physicians are one of the primary targets of this limitation on the service industry, but the average physician falls under it. The limitation is $315k of taxable income with a phaseout by $415k. 1. Business Expenses on Schedule C including home office, supplies, and travel expenses. 2. Itemized Deductions on Schedule A including state taxes (income+sales+property $10k max, sorry CA/NY/NJ/DC), mortgage interest (limited to $750k homes for future purchases) and charitable contributions (up to 60% of income). 3. 1040 Gross Income Adjustments (the big ones on the 1040 itself) including i401k ($55k max), HSA ($6.9k max), health insurance premiums (usually >$10k these days), and half of self employment tax (already at $9.7k if at >$127k income, paying the Social Security max tax). A married independent contracting doctor who is a WCI disciple could have $82k in 1040 deductions alone before Schedules A & C. Let’s say a family is super safe and too worried about IRS audits so they claim no business deductions (C) and opt not to itemize (A), you then could add the new higher standard deduction of $24k to equal $106k deductions. So this family would need $521k of gross income ($415k+ $106k) before being completely phased out of this new deduction. All of a sudden, every business is going to claim they don’t serve anyone. If you are a real estate business (like our president himself), you could receive an unlimited deduction, even unlimited with respect to the Alternative Minimum Tax. And somehow architects and engineers finagled a last-minute exclusion from the service definition. Where was the physician lobby? Or those making more than half million — I am talking to you, surgical subspecialist — could consider becoming a C Corporation with the new 21% flat tax but more expensive administrator burden. How is the pass-thru deduction calculated? 1. 20% of your taxable income before this new deduction (adjusted gross income – standard or itemized deductions – net capital gains). If the majority of your income is pass-thru profit from your business, this will be applicable to you. 2. 20% of your qualified business income (Schedule C net profit – 1/2 self employment taxes – i401k traditional contributions). If your service business is a side gig and your main job does not generate too much income to hit the limitation described above, this will be applicable to you. For those with service S Corps this EXCLUDES your self-declared W2 salary since that is not pass-thru profit but wages. 3. 50% of your nonservice S Corp W2. This does not apply to those with only doctor income. Those below the taxable income limit are exempted from this wages calculation and those above the taxable income are excluded from this deduction. If you pay yourself less than 40% of your nonservice business profits (ie >60% dividends), this will be applicable to you. This is because 50% of W2 on 40% of all = 20% on all income (Calculation 1). As someone who lives in a state that adds an extra S Corp tax, it was not advantageous to use this to circumvent Medicare taxes. For those doctors in a service S Corp, no changes will change their ability to get this Pass-Thru Deduction since this is based completely on the taxable income limit. I see this as guidance written into the code for those who use nonservice S Corps to be more reasonable. For those who are reading this and are not business owners, this W2 is not the same as the one you get from your employer and this article is not for you. For those pass-thru businesses with sizeable depreciable assets such as real estate or machinery, there is an alternate calculation of 25% of the W2 plus 2.5% of unadjusted basis that can be used if larger than 50% of the W2. Ironically, those nonservice businesses without W2s or depreciable assets above the taxable income limit such as a married sole proprietorship with a taxable income >$415k would get no deduction and will likely be advised to setup an S Corp if the setup costs were less than the tax savings but I doubt few of these exist since the FICA exemption on the dividends should already make an S Corp useful. How do you figure the max allowable Pass-Thru Deduction tax savings? For married filers, $315k of taxable income * 20% deduction = $63k deduction * 24% tax bracket that encompasses it all = $15,120 in tax savings. How do you figure the phaseout? You lose 15.12 cents per dollar earned over $315k until it’s all gone at $415k of taxable income (after all other deductions). Don’t worry about each cent though since the IRS rounds to whole dollars on everything. In other words, you lose 1% of the savings per $1k over $315k. Example: After all deductions, this family’s taxable income is $365k, $50k over the limit, so they have a 50% reduction in the deduction savings to only $7,560 ($15,120/2). How does this change the effective marginal tax rates? For every dollar earned of taxable income from $400k to $415k you only get to “keep” 50 cents! If you include FICA taxes, you keep less than half even before state taxes! It is not very encouraging to work another shift in December if you get to keep less than half of your compensation. If you have taxable income of $315k between $415k you could consider adding more charitable giving at near half the cost to you. PoF: Thank you, Dr. Elseroad for the detailed explanation of this impressive new deduction that will benefit self-employed physicians and bloggers, among others. While you digest what you’ve just read, I’ll try running through a couple purely hypothetical examples. Let’s say there’s a part-time anesthesiologist with two children under 17 who works as a W-2 employee. He also has an online business that qualifies as a pass-thrubusiness in a non-service industry. W-2 income is $250,000 and online income paid as a salary is $100,000 (wishful thinking). He is married, files taxes jointly, and there is no additional income. He deducts about $25,000 between a 401(k) and HSA and takes the new standard $24,000 deduction rather than itemizing. Taxable income (before the deduction) is $301,000, well under the $315,000 mark at which the pass-thru deduction would phase out. 20% of the $100,000 online income taken as salary would be taken as a pass-thru deduction. In the 24% tax bracket, we take 24% of $20,000 to arrive at a savings of $4,800. The CalcXML calculator bears this out. Comparing this anesthesiologist’s tax burden with a full-time anesthesiologist earning $350,000, we see that the latter would owe $57,719 whereas the part-timer with the same combined salaries owes $52,919, or exactly $4,800 less. The locums doc could just as easily be any independent contractor who earns income on a 1099 rather than a W-2. She earns $350,000 reported on a 1099 and is married with two children. Deductions include $55,000 into an individual 401(k), nearly $7,000 in the HSA, and the $24,000 standard deduction. She also deducts a total of $20,000 for health insurance for a grand total of $106,000 in above-the-line and below-the-line deductions. Taxable income is $244,000, well under $315,000, so she can deduct 20% of her taxable income. The $48,800 deduction in the 24% marginal tax bracket is worth $11,700. 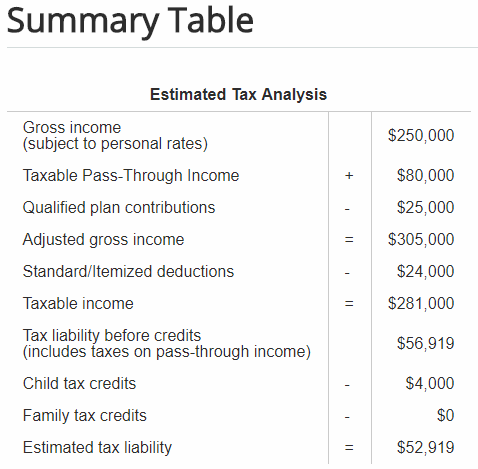 Interestingly, the calculator I used for the previous exercise does not account for the phase-out of the deduction that we believe starts at a pre-pass-thru-deduction taxable income of $315,000, but rather subtracts 20% of pass-through income regardless of the total income. In her case, total income is $350,000, so the calculator will not give accurate results in this instance, but with the additional deductions plus the pass-thru deduction, I would expect her to owe in the range of $15,000 less than the W-2 employee. Note that the W-2 employee will have a valuable benefits package, whereas the 1099 contractor will be responsible for her own benefits package, so we’re not exactly comparing apples and oranges. If you are paid on a 1099, expect to be paid a premium compared to taking an employed W-2 position for the same or similar job. Did you learn something today? Subscribe to learn so much more! I want to emphasize that these are preliminary calculations based on legislation with wet ink. The IRS will need to fully interpret and implement the new tax code to provide further clarity. CPAs will be busy, as will the self-employed business owners who will be operating for the first time under the Tax Cuts and Jobs Act. As we receive more definitve information, I will update this post. I am sure you will have questions, and I’m quite sure we won’t have definitive answers, but together with our readership, we can come up with our best guesses based on what we’ve read and learned. I have a disclaimer that says I am not a professional in any business but medicine, and Dr. Elseroad makes the same claim. Please keep that in mind and consult a tax professional to address your specific concerns prior to making any changes related to what you’ve learned here. For a more thorough treatment of the pass-thru deduction, one of the nation’s foremost experts on small business accounting, Stephen L. Nelson of Evergreen Small Business has written a monograph on the topic, available for purchase and immediate download here. A “baker’s dozen” of practical tactics for maximizing the deduction–starting in 2018! Checklist of steps taxpayers will want to take on their 2017 tax returns in order to be ready to maximize the deduction in 2018. Detailed discussion and examples of the rather complicated rules (including the “grain glitch” fix) for specified agricultural and horticultural cooperatives and their members. The monograph also includes two appendices… the first provides FAQs tax practitioners can share with their clients (via email or traditional letters) to help clients immediately understand the Sec. 199A opportunity… the second provides the text of the Sec. 199A law including the technical corrections. For more information, follow this link. How will you fare under the revised tax code? Which changes will affect you the most, either positively or negatively? Will you benefit from the new Pass-Thru Deduction? Comment below! I’ll be saving a good 12-15k just on my w2 income with three kids and the new brackets. If you count the AMT I won’t be paying now, it may be more. Probably going to write a post on the AMT because it can be a confusing topic. I’ve read through the tax bill. May make a calculator for it, too. Good read. Will be interesting to see how IRS (and employers) interpret and how quickly our W-2 take home payis affected once they figure it out. You must be smiling today! Saving $12,000 to $15,000 is as good as a $20,000 to $25,000 raise! The child tax credit is huge for physician families like ours. Some will still be phased out starting at $400,000, but most won’t. It sounds like AMT is much less likely to be an issue for us. I’ll pay the AMT once again for 2017, but probably not after that. The loss of state income tax deduction didn’t affect me, because I never got to deduct it anyway — and I paid over $30,000 in state income tax last year. I almost had a whole new section to my article on AMT because it applies to this deduction but at the higher limits. It’s a difficult calculation with many personal variables. Basically AMT will be the guardrail for those who have this as a unlimited deduction (those not a service industry). AMT is still very impactful. According to the AMT chart in Kitces article, at the low end of 315K the AMT will kick in at a total deduction of about 40K. So after the standard deduction of 24K MFJ, only 16K of the pass through deduction would be allowed before hitting the AMT. At the high end of 415K, the AMT will kick in at a total deduction of about 50K. So after the standard deduction of 24K MFJ, only 26K of the pass through would be allowed. Is that how you see it? So the language on the AMT is not very clear to me in the actual bill, but per the official joint statement explanation: “Qualified business income is determined without regard to any adjustments prescribed under the rules of the alternative minimum tax.” I now think I was wrong to think the AMT applied to this deduction. If it does, almost all pass thrus would hit AMT. Are you sure that the W-2 wages of the S-corp owner and not just the dividends apply to the pass through deduction? I read that reasonable compensation of the owner does not apply to it. If it does apply, we hit the AMT with that deduction alone and are done. If it does not apply, then we have room to figure out how to deduct more. Kitces seems to interpret the wage limit to not apply at all below the taxable income limit. If S corp salary is not included people will just dissolve them, so I doubt that is the case. The reasonable salary exemption is interesting and is there but it’s placement in the bill is the confusion. Thanks for translating some of the tax mumbo-jumbo for the rest of us. My situation is very similar to your hypothetical anesthesiologist so this helps a lot. As you said before this is a great year to take advantage of TLH and a DAF. I have less than 10 days to act on those. Are you making any changes based on the potential 457 issue? I have a pretty big pile of cash in there. I don’t think I could roll it out unless I leave the organization though? Thanks wealthy doc. I consider my DAF to be “fully funded” to the goal I set in my IPS. Fortunately, Tax Loss Harvesting will be no different under the new tax code. The “FIFO”rule proposed earlier didn’t make the final bill. Regarding the 457(b), I’ve already e-mailed our plan representative for guidance on that issue. I’m sure there won’t be anwers right away, but I wanted to let them know it’s on my radar. I turned off the automated investment. Normally, I would front-load this in the first few pay periods, but that’s on hold. What is the 457b issue? I don’t believe there is one, although there was chatter about potential issues, even after the conference bill was released. So I think we’re OK, but I will hold off on contributing for a little while until it is confirmed that there are no changes impacting those of us who invest in governmental or non-governmental 347(b)s.
The fact that the deduction exclusion is based on taxable income is news and a big deal for me. I thought I’d be cut out from this deduction based on its reporting in the MSM. Very happy to hear that the changes might be better than I expected. Now when do those IRS guidelines come out? Your guess is as good as mine, Jack! Using taxable income rather than AGI or MAGI gives you much more flexibility. As long as you itemize, you can dial in charitable donations to hit a desired target, for example. This was shocker for me as well! My first question when I saw a income limitation was WHAT income. I couldn’t find a single source to give me the answer (this was before Kitces) so I went straight to the bill. Even Kitces who adresses this accurately does it in the way the bill does: all service industries are excluded (many words later) but not if you are under a certain income level … which is based on taxable (which most people don’t know that number is low on the 1040 after all adjustments and deductions). So I hope this article clarifies the way it was written. I think it will be a net negative for us as a dual physician couple with three kids. We make about 600k so that puts us in the highest tax bracket – 37%. We lose the $20k personal exemption. The $35k we paid in state and local income tax is gone. We can only deduct $10k of the $14k we pay in property tax. So while the marginal tax rate is lower, more of our income is subject to taxes. While it’s hard to crunch the numbers every online tax calculator is giving us the thumbs down. Oh well. Our taxes rose with Obama and now again with Trump. Ouch. I’ve heard from a few physicians in a similar boat. Huge state income taxes and / or property taxes as a lost deduction is usually the issue. As I mentioned above, I paid the AMT under the old system. Under current / old tax code, it’s probably true that the only reason I paid the AMT is that deductions for state income tax and property tax pushed my “regular” tax calculation low enough that the AMT applied, instead. So it’s not exactly true to say I didn’t benefit from the deduction in the past, but only partially at best. So sorry! You are the new target of worst taxation. Taxable income >$400k with kids living in a high tax state. The child tax credit is in a sense the personal exemption fill-in but at $400k it phases away. I haven’t run the numbers but I am sure many will experiment with married filing separately due to the “marriage penalty” (I call it the “dual income penalty”) still existing. Man my head is spinning. We are seriously considering not buying a home (or rebuilding) since we don’t get the mortgage interest deduction. Instead will take 10k deduction from state taxes or just end up with the $24k standard deduction….it’s fun reading this stuff but for now I am focused on minimizing my 2017 tax burden….then I can figure out 2018. Schedule A might become rarer than Schedule C! High income tithers are the main ones who will continue to use it. I kind of like the idea that more people will not say “I am keeping debt because I have a tax deduction!” Especially those like POF mentioned that would hit AMT anyways. But yes it will be painful for those with big mortgages. True….I always hated that phrase. For me it will be more of reevaluating the taxes I am paying as I can now get less deductions for them. It will be interesting to see how physicians between 315-500k fair with the new tax plan. With loss of pass-through and child credit deductions beginning at $315,000 one may find the effective tax rate for monies between 315 and 500 K is quite high. Think about…you’ll lose all pass through at 415k and all your child tax credits at 415. My guess is that income you generate between 415 and 500 K will almost be worthless to you in that you will lose all your deductions. Therefore I’m going to assess it with my accountant and may find that simply taking 3 extra weeks off or many more 3 day work weeks will have limited effect on my take home pay. I certainly don’t intend to work extra hard for that money from 350 to 500 if it’s only gonna net me 30% of the total. I so appreciate this breakdown. Not a physician (although 13 seasons of Grey’s Anatomy and WebMD have me believing I am), but I am (well I’ve historically been) a high-income earner with a good amount of deductions. I’m dropping into the 24% tax bracket but I’m losing about $6K in SALT deductions with the $10K cap. I have yet to go through and see what this means for me, but you’ve given me an idea of what I can take on pass through income. Now I need to refigure my withholdings so I break even when I file in 2019. Our practice’s accountant suggested we consider forming a C-corp, but the devil will be in the details. And we all have to agree on it. I’d love to see some numbers and details on a physician group remaining a S-corp vs. changing to a C-corp. (hint hint). I am not sure of the math of a ccorp but one thing you already have going for it is you already paid an accountant! I am a do-it-yourself sole proprietorship. I am sure every accountant is going to love the idea of more c corps but I am not sure if you are just over a half million if it even makes sense due to double taxation. I don’t see any new reason to be a C-corp as a doctor. What benefit are you seeing there? I read somewhere that an engineer or architect is considered an exception to the service business list. This may apply to us for my wife’s business. We’re also under the limits currently. Either way I’m expecting significant savings as I was already close to the existing standard deduction last year due to a paid off house. I expected to be standard deduction in 2018 anyway. I think some of the presented information may have changed in the final revision. You may want to double check the info you presented about deferred comp being fully taxed (457b) and the child credit phase out beginning at 400,000. Sounds good – thanks for checking. Quick question that I can’t find the answer to anywhere else. In your example of the Part-Timer with a Side Gig, would the 20% deduction be on the full $100,000 gross side income…or would you take the 20% deduction on the gross income less 1/2 of FICA less any SEP-IRA contributions? The gross income less 1/2 FICA ($7,650) and SEP contributions (let’s say $20k) could lower the deduction from $20k to $14,470. Gross income is never used in the calculation of this deduction. But what I think you are trying to say/ask is it the Net Profits after all Business deductions vs Taxable Income after all deductions/adustments that get 20% removed. The answer is the least of these. So if it is a side gig the Business Income (Net Profits after all Business deductions) is always less than Personal Income (1040 Taxable Income after all deductions/adjustments). I think your confusion is you credit the SEP and FICA costs to your business but the governement does not. The SEP-IRA and FICA are figured on the 1040 and not on schedule C, so they are technically personal costs and do not lower your Business Income/Profits. I didn’t realize the pass-through limit was 315k for individuals. Thank you for clarifying- I thought it was 157k for individuals and 315k for couples. No you were correct. My numbers are my personal situation and I am married. For a single person it would be $157.5k of Taxable income which before adjustments/deductions could be >$250k in gross income. The individual phaseout is over the next $50k, so 2% per $1k over, or again 15.12 cents per dollar over. The max benefit to a single filer is exactly half: $7560. 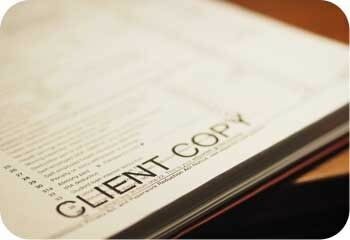 Dr. Elseroad may want to comment, but I believe the example(s) are for married filers. I believe you are correct, unfortunately. I will edit the post to make that more clear. Thanks for the great info gentlemen. It seems like a lot of married physicians may benefit from a defined benefit plan to shelter just enough taxable income to get below the 315k range, or at least below the 400k point for the child tax credit if they have a lot of kids. Interesting thought. Never liked the idea of the DBP since for my family the simpler i401k is sufficient but that might change if my income was higher. Let’s say a group pays out to docs 100k in s Corp distributions and another $250k as w2 income. Would the deduction be 50% of the S Corp $100k Or would it be 20% of the $100k “business income”? This is how I understand the bill: It is all dependent on your personal taxable income which includes all of the distributions/dividends and salary/W2. If >$415k you get nothing. If this is the doc’s only income, it’s likely to be 20% of their taxable income after all other deductions which will be less than your business income (which is the dividends + salary from your business). Are any of the pass-through benefits available to a real estate investor with Schedule E income? Based on this article from IBT, I’d say Yes, but it will depend on how the business is structured. 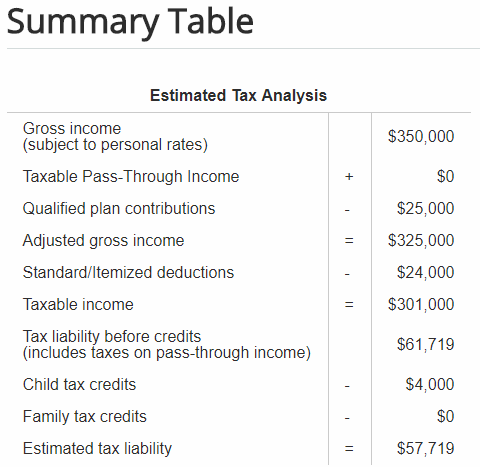 The tax calculator is severly broken…if your total INCOME is greater than $315k, it fails to calculate the “pass through deduction” even when your TAXABLE income drops below $315k when accounting for deductions/contributions (e.g. 401k/charitable/mortgage). Most of the calculators I’ve seen don’t even allow for pass-through income. At least they’re trying! I’ll bet we’ll have a a more reliable calculator from some of the more established sites pretty soon — Intuit (Turbotax Taxcaster), for example. Until then, you’re probably better off doing your own calculation. Hubby isn’t a physician but we benefit a little from the tax reform as well, I think? The child tax is incredibly interesting and I’m glad they increased the phrase out for hardworking families that just happen to score a little above $100k (we know alot of those.) They deserve it. How about a small service business with income of expenses around 100k. I’ve got a couple employees who combined make about 50k. Any idea how this will pan out for me? I would play with the calculator and see what you come up with. It depends on whether or not you’ve got other income sources and how much income the business brings in. Any understanding of how income from investments (dividends and cap gains) factor in. Does this income count toward the $315/157 income cap. Will it change your plan to Roth convert in the next few years? Maybe. I feel disadvantaged in getting my mind around this because I don’t do my own taxes. This year I roth converted only 25k and then opened a DAF for 25k. I am not sure about this strategy next year. I think the prudent thing is to wait on IRS guidance and more Kitces posts. I hope to use the 20% sole proprietor deduction since I am under the income cap (another reason to be careful about conversions). We don’t do our own either. Each year I try to pick one big new tax concept to try to understand. This year’s is the pass through deduction. Definitely agree on waiting for clarification. What a great article thanks so much. May I ask about my specific situation? – I am a single sole proprietor with no kids running it through an S-corp.
– 1099 income is $500k after basic business expenses and health care costs. 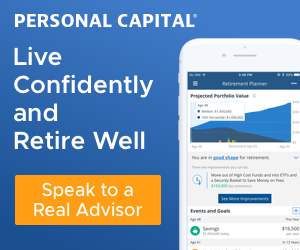 – I fund a 401k $9,600 employer portion and $18k employee portion. – This makes my income $335,400 after all deductions. BTW, I also make donations of approximately $6-10k every year to different organizations as they come up. 1) Is my math above accurate? 2) Is it worthwhile to work a little less and make less money to hit the $315k limit? 4) Sounds like paying property tax every other year will continue to benefit me, correct? 2) no, money earned is money earned up to marginal tax rate <100%. Whether its effort is worth it to you is very personal. 3) Possibly. Some believe the 3rd calculation does not apply to those under the "low" income service exception. I'd wait for IRS clarification. Better question: is that salary really reasonable in the eyes of the IRS for your profession? 4) Bunching of deductions gets more complicated if using this deduction right at it's limitation line. But property tax is included in the SALT deduction limitation of $10k per year so bunching these in future years makes no sense (might consider bunching under old system in 2017 as long as you don't hit AMT). Good question regarding compensation as seen as appropriate in the eyes of the IRS. I believe yes because of the benefits. Total $299K which I think is very fair compensation for a physician. Ah ok solid rationale. Sorry my s corp specific knowledge is not up to par since my state plays nasty with them. I’ll let you know if it becomes more clear. Entirely missing the point of this post, I just wanted to say thanks for pointing out the change to the child tax credit phase-out. I had no idea…and just in time for baby Vigilante! For me, a wage-earning W-2 employee, that one change should put an extra $4,000 in my pocket for each of the next eight years. I ran an estimate for my boring wage-earning W-2 employee taxes and found that me and Mrs. Vigilante would have paid +/- 1% in 2016 under this plan, depending on deductions. So I wasn’t too excited about the plan one way or the other, figuring it was no big deal to us. But next year, it seems we will save a few thousand bucks, guaranteed, and get this unexpected extra $2,000 due to the child tax credit. This means: No trouble at all making use of all that pre-tax space next year, for the first time ever! And no more need to explain on my blog why and how I’m filling last year’s traditional IRAs between January and April! The child tax credit change is huge. Also those making > $400k not maxing out their retirement accounts might want to to reduce their AGI. Pingback: Tax Reform and the Early Retiree | Go Curry Cracker! My understanding is the 20% qualified business income deduction is a deduction against business income (say your K1 item 1 if you’re an S Corp), not taxable income. Taxable income is a qualifier to determine eligibility. If married and specific profession, phase out begins at $315k taxable income and completely lost >$415k. Half that amount for singles in specific professions. The caveat in the bill was your business income deduction could never be higher than your taxable income no matter how much business income you had. Which makes sense: you can’t deduct that which is already deducted! So this tax plan almost sounds to good to be true to me. I’m a partner in a small anesthesia group. Typically make around 415-440k before any deductions. After maxing 401k,hsa etc my taxable income should be less than 350k. Plus I have 3 children. This seems to be a big tax break for me correct? Huge. Ginormous, even! That is, assuming you are being paid as a 1099 independent contractor. In that case, I’d guesstimage you’ll save about $12K with the deduction and $6K for the three kids. You’ll also barely be in the 32% bracket with a lot of income in the 24% bracket. I’d be surprised if you didn’t pay $20,000 less in taxes next year. That’s like getting a $30,000 to $35,000 raise. You are to benefit “yuge” as POF noted. One interesting thing is you might be getting less than half of your next November pay after taxes if you land in this phase out. Makes you want to give those Thanksgiving shifts away! Single mom of 2, filing as head of household. Emergency medicine about 320,000 income this year. It’s 1099 income in California. Will I benefit from forming an S-corp? I’m wondering if filing as head of household allows for more deduction than singles for pass thru? Head of household = single for this deduction. Some call this pro-marriage, others cry anti-single. From what I heard scorps are heavily taxed in CA but I don’t know CA law myself. S corp would not help you get this deduction. Great article. Would appreciate some insight into our situation. Dual income household along with 1099 income currently setup as a LLC partnership. we do all of the usual avail – solo 401K x 2, 401k, 401(a)(b),529,backdoor roth etc etc. – Thoughts on how best to optimize for the upcoming year? Should I consider C corp classification for the LLC? It says “own a business in the service industry.” The 1099 income is from pharma/insurance company consulting. Does that fall in the service industry as not providing services to patients or anyone? Can investments be run through a LLC? For example, let’s say I plan to invest 200K in a hedgefund. Can I let the LLC (either the old or form a new one) be the owner of this investment? Also, let’ say I use the old LLC I have – does it still fall under “service industry” as I am now also investing with this LLC? Sorry. Consulting is a service industry. If a business relies on your personal abilities = service industry. As for the C corp, this is not my ball game. So I’d ask an accountant for which you would need anyways. – another $300 k is w2 income. Is the deduction just on the S Corp distributions of 100k or all the income? Sorry, I think I asked this already 🙂 and Stanton answered that it is total taxable income. When it comes to finances I’m pretty stupid. I tried skimming but honestly, I came here with one question in mind and hopefully someone can answer it. I earn anywhere from 257k to 283k a year depending on how much I work. I currently work for a non-profit hospital. I put money in a 403b and have the option of putting in a 457b. I have recently been offered a job at a small rural hospital earning 303k a year. I am single and my tax bracket was 33% and going to 35%. I read in the actual text of the passed bill that healthcare is exempt from personal/professional service corporations (PSCs). Is there anything else I can do to establish a business as a private contractor and save on taxes if I choose to work for the small rural hospital? You can ask to be paid as a 1099 indendent contractor at a higher rate than you would expect to be paid as a W-2 employee. You should expect more because you will also be responsible for all your own benefits, but the only way to qualify for the pass-thru deduction is to be paid on a 1099 and not be a W-2 employee. I hope that helps. Healthcare and other “service industry” workers are subject to a phase-out, starting at $315,000 (married) or $157,500 (single) taxable income, but we are not excluded. The post above details it better than I can in the comments. is taxable income only earned income? In other words is interest ane dividends excluded from any calculations? Taxable income includes everything, including interest, capital gains, and dividends. Pingback: How the New Tax Plan Affects the High-Income Physician | Passive Income M.D. Now that the new law is enacted check the computations out using the new version of Taxmode app – it has the 2018 TCNJ computations already implemented. I use it on iPhone, it is also available for Android. Thanks for the tip, Jack. I’ll check it out! Wow, tons to chew on here. Man, there is a lot to consider. This is a great post. I will have to re-read a few times (slowly) to catch it all. I’d much rather read this than the actual tax codes! Thanks for laying it out nicely! Just when I thought I was starting to understand investing and taxes it gets more complicated! I was wondering: is there anything about the new tax reform that changes any of the considerations with respect to decision to incorporate? This has come up because I was told by the administrator of our 401K plan that a number of people are requesting to incorporate. 1) Is there an up to date discussion of whether it makes sense to incorporate? 2) Does this change the calculus regarding the decision to hire an accountant to do taxes? This is why I wrote about this: some independent contractor docs will get this deduction and they have to do NOTHING to get it. 1) No. A sole proprietorship (aka unincorporated 1 person business filing a schedule c) can get this. An LLC means nothing to the IRS. S corps have advantages in some states but no in regards to this new deduction. 2) No. If you are doing an S corp you almost always need an accountant. But a sole proprietorship should be able to get this deduction easily with turbo tax business or equivalents. The article sited makes it seem easy to make people independent. It is not. The average doc is not ready to shop for their own health insurance and retirement setup. ALL benefits must be lost for this to work so a higher pay negotiation would be tricky. Great post, although I may be more confused after reading entirely from beginning to end (and posts). I am not a physician, but a long time reader, as I appreciate the great financial content here. I have several LLC’s for my investment rental properties. These are straight pass through income businesses (filed via schedule E’s on my personal 1040 form). For further clarification, I am not considered a real estate professional from an IRS perspective. The rental income is relatively passive. So here’s my question… Would I be able to take the new pass through deduction in 2018 for these rental property LLC’s? If so, what income is the pass through actually calculated on? Assuming a pass through deduction can be taken…What would the Pass Through Deduction amount be in this example? Would this deduction most likely be entered on a new deduction line on page two of the 2018 1040 form, reducing taxable income? Since your income is under <$315k and all of it is pass thru you are only limited by your taxable income (in past years line 43 on the 1040). Your savings might be lower though because you might be missing some adjustments that are not itemizations. Do you have no pretax retirement accounts? Do you not pay for your own health insurance that is making you HSA eligible? All accountants that I have seen comment on this deduction agree that it will have to be on page 2 of the 1040. Thank you for the detailed response. I’ve seen several other blog explanations, that incorrectly show the deduction applied at the net income level of the LLC (essentially at the net income of the Schedule E level, or in the example above at $120k). But it appears it’s at the taxable income level (after all deductions). Makes perfect sense. The example above was merely a sample analysis (not real numbers). In my actual personal situation, yes, I would have health care insurance expenses and pre tax retirement deductions also in play (I didn’t want to complicate my generic example too much). Thank you very much for your response. Very helpful. Love this blog site! In some circumstances it would be on the $120k. Imagine someone who is doing your business as a side gig while still working for wages but their taxable income is >$120k but <$315k. Love the site too! Just a fan myself who got nerdy interested on this one topic. Great point. Thanks again! Glad there are lots of us nerdy interested folks on the blog, it makes it a much more valuable site. Cheers! Question: I get the S-corp pass through parts. Lets assume that the individual parent S-corp with salary and distribution put you over the $315,000 for filling joint. So what happens if you split the parent S-corp into several S-corps for HR, Billing, Marketing and Orthodontics (I am an owner of a group Pediatric dental office that does orthodontics)? Can the salary and distributions be evenly placed into each S-corp to gain the 20% before it reaches your personal tax form? The new tax law is brutal for those of us with no kids, no mortgage and even moderate state/property taxes who earn between 200-400k and are employed. My taxes are going up substantially. Even with the lower marginal rate, I will end up paying more as I can’t deduct any work expenses and not all my state/property taxes can be deducted. And I don’t even live on a coast…. Did you pay the AMT on your 2017 and prior tax returns? If so, your state income tax and property taxes weren’t deductible, anyway. Or, rather, the calculation that doesn’t let you deduct them ended up being higher than the standard calculation, so you paid the higher AMT amount. The marriage penalty has been reduced, so if you’re single, that hurts more now (at tax time, at least). Some people are indeed paying more this year, and most are in high-tax income tax and / or high property tax states and single. Nope, didn’t pay the AMT. I’m tryin to figure out how to pay less and am contemplating my employer’s 457, but I am so mistrustful of private 457s.